Why it matters: DJI's new Mavic 2 Enterprise is a purpose-built drone for professionals whose primary job doesn't necessarily focus on photography or cinematography. With its modular accessory mount, it could be a valuable asset to search and rescue teams and other public safety workers. DJI on Monday announced a business-focused version of its popular Mavic 2 drone that delivers up to 31 minutes of flight time with a top speed of 45 mph. The aptly named DJI Mavic 2 Enterprise features a 12-megapixel camera stabilized by a three-axis gimbal complete with 2x optical and 3x digital zoom. 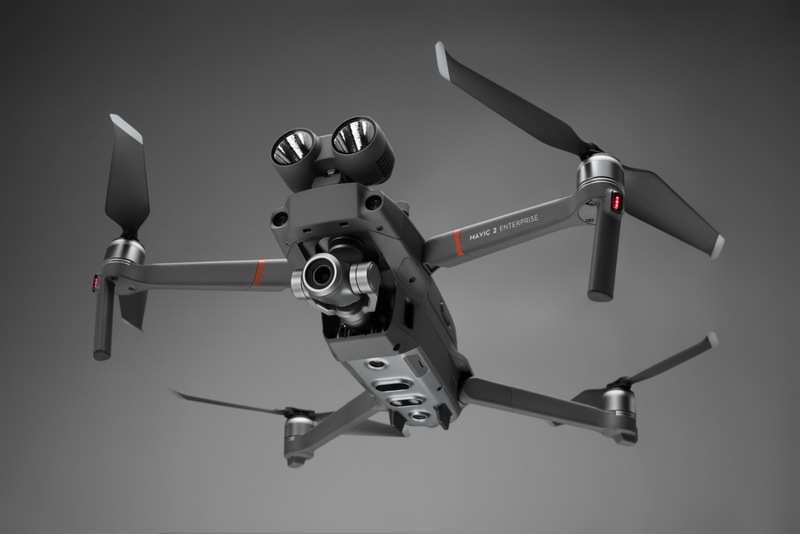 What really makes the drone stand out, however, is the new modular mount supporting a variety of accessories including a dual spotlight with a brightness of 2,400 lumens, a loudspeaker with a maximum projection of 100 decibels and a flashing beacon that DJI says is visible from up to three miles away. The drone further boasts 24GB of onboard data storage that can be password protected, a GPS timestamping feature that encodes the date, time and location of every recorded image and a local data mode that prevents connected mobile devices from sending and receiving data over the Internet. The DJI Mavic 2 Enterprise Universal Edition includes the drone, a controller, one battery, all three mountable accessories and a protective case with flight tools. It retails for $1,999 and is available worldwide from today. A separate “Fly More Kit” featuring two batteries, a charging hub, a car charger, a USB connector, a soft case and two propellers goes for $419.